VANCOUVER — In an effort to curb the effects of the epidemic of opioid addiction caused by prescription opioid medications, members of the Clark County Board of County Councilors voted Tuesday to give the interim county manager the authority to sign an agreement with a law firm to enter into litigation with pharmaceutical companies on behalf of Clark County. She said that the Seattle-based law firm Keller Rohrback L.L.P. has represented many of the counties that filed for litigation. Due to the “significance of opioid addiction in our county,” Sheldrick asked the council if it would agree to have the law firm represent them in litigation on behalf of the county. According to county officials, the law firm will be paid only if Clark County recovers damages in a settlement or at trial. Undersheriff Mike Cooke testified before the county council, representing the Clark County Sheriff’s Office, and discussed the opioid epidemic and its effect on Clark County. In the late 2000s, Cooke said that the closure of the Payette Pain Clinic left several hundred people addicted to prescription opiates, and painted a picture of the effects to come. He said that people became increasingly desperate to get prescription pain killers, including robbing pharmacies and staging injuries to be admitted to the hospital for more pain killers. Over the past decade, Cooke said that the Sheriff’s Drug Task Force began seeing increases in street level trafficking of prescription pain killers, and the opioid epidemic has changed the way the Sheriff’s Office operates with regards to narcotics. Deputies are issued and trained in the use of naloxone kits which can reverse opiate overdoses. As of last year, the county jail began dispensing opiate therapy medication for inmates being successfully treated for an opioid addiction. The purpose of this program, Cooke said, was to prevent someone admitted to the jail for a short stay from missing addiction treatment and relapsing into opioid addiction. The prescription-based nature of the opioids creates issues for the Sheriff’s Office, however. “As a law enforcement agency, we know how to deal with drug dealers,” Cooke said, but that in this case, the source of the drugs is a barrier to enforcement. “What happens when that drug dealer is a pharmaceutical company, and not some guy lurking in a parking lot?” Cooke asked. Cooke explained that litigation was needed to effectively deal with pharmaceutical companies “for knowingly marketing highly addictive opiate-based drugs to doctors who in turn prescribe them to their patients.” He also said that the pharmaceutical companies used “intentionally deceptive practices” to market the drugs, and that because of the long-term effects of opioids on the county, the Sheriff’s Office wants to hold the drug manufacturers accountable for their actions. Response from the county councilors was all in favor of entering into the litigation agreement. Council Member Jeanne Stewart said that while she normally would not be quick to pursue a lawsuit, the opioid crisis creates a unique situation that needs to be addressed. It has already had marked impacts on the courts, public health, law enforcement and the county jail. “Citizens are paying the cost of taking care of this problem now,” Stewart said, and noted that litigation could regain some of those costs. 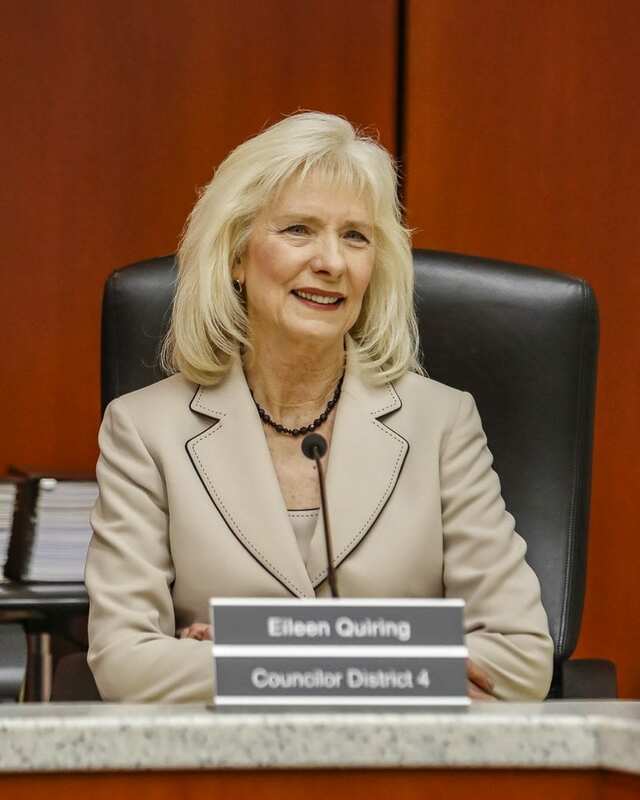 Council Member Eileen Quiring shared a similar view with Stewart. She said that normally, it is not good to enter into lawsuits simply because a product was abused. However, “this particular drug, and this particular situation, after hearing the entire story, is a different story,” Quiring explained. Quiring said that pharmaceutical companies were pushing the use of opioid medications even though they knew the harms, and that the companies responsible for the drug problem need to be held accountable. According to Council Member Julie Olson, at least 91 Clark County residents have died of opioid related causes since 2014, and 51 more died of heroin use in the same period. “This is a man-made epidemic,” Olson said, and was caused by “active and overt misrepresentations” by pharmaceutical companies that she said need to be held accountable. While Council Member John Blom also supported the litigation agreement, he was careful to point out that it would not by itself solve the opioid crisis. To properly do that, coordination and cooperation across the community and across county departments must occur. “It takes everyone in our community,” Blom said. Council Chair Marc Boldt said that the opioid issue could most effectively be dealt with at a local government level. 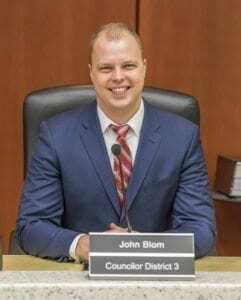 “This will not get handled in a state legislature, or it will not get handled in Congress,” Boldt said, leaving local governments as the only option. The proposal to enter into litigation regarding the opioid epidemic with Clark County being represented by Keller Rorhback L.L.P. passed unanimously.